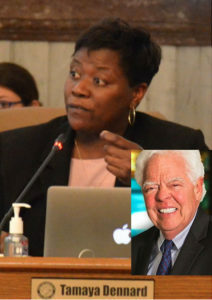 Two Cincinnati City Council members – Tamaya Dennard and David Mann – will lead a hearing about alleged misconduct by City Manager Harry Black, council members unanimously agreed on Wednesday. Both are Democrats. 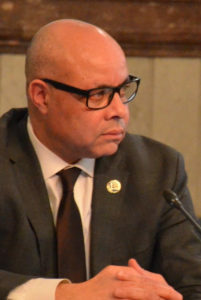 The investigation is to begin after Black’s own counsel is in place, something that became an issue Wednesday when Mann questioned why taxpayers would have to pay for that. Since the city solicitor will be called as a witness during the hearing, council members agreed that Black needed independent counsel. Mayor John Cranley asked the city manager to resign on March 9 after the two began to clash. 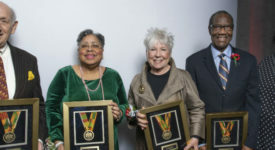 A majority of Cincinnati City Council members at their March 28 meeting stood in opposition at 5 to 4 to a $423,000 severance package Cranley and Black had agreed to for Black to move on. The deal would pay Black’s salary for 18 months. The severance agreement in his contract limits his severance pay to 8 months’ salary. P.G. Sittenfeld and Wendell Young are opposed to the $432,000 deal, saying it is irresponsible to taxpayers. Thus, the impasse and agreement this week on an investigation. Cranley, who was absent from the meeting Wednesday, has said he favors an independent investigation of Black. 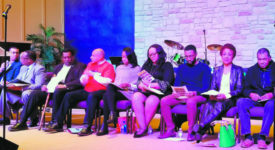 Councilman Chris Seelbach earlier had suggested an outside investigation of both Cranley and Black in what has become an embarrassing month at City Hall.